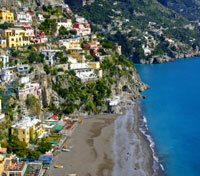 Discover the scenic delights of Positano and Ravello on a full-day tour of the Amalfi Coast. Stand witness to nature’s fury amid the ruins of Pompeii. 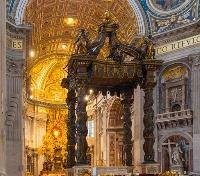 See the Vatican’s artistic treasures with your own eyes with an expert guide. 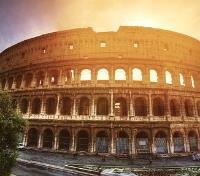 Take in the majesty of ancient and modern Rome on a privately guided walking tour. You just can’t hurry Italy, but you’d be surprised by just how much of it you can fit into a single carefree week. Discover the historical wonders and modern delights of Rome and the Amalfi Coast’s seductive allure on this breezy tour that connects the past with the present and the urban with the pastoral. Enjoy panoramic city sightseeing through the streets of Rome tonight with your a private driver and vehicle. 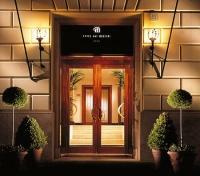 Discover the beauty of the Eternal City at night! Drive along the River Tiber, view the Synagogue, and St Angel’s Castle. 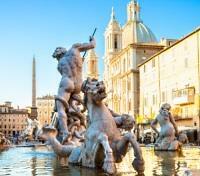 Stop in St Peter’s Square, drive next to Piazza Navona and the Spanish Steps. 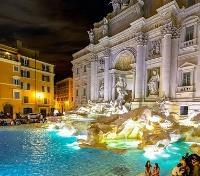 Stop at Trevi Fountain and see much more! Meet your private guide and transportation and embark on a half-day highlights tour of the archaeological center of Imperial Rome. No visit to Rome is complete without experiencing the interior of the historic Colosseum, one of the world's most celebrated buildings. Built 2,000 years ago, this epic stadium formerly held gladiatorial contests and other public spectacles. Visit this UNESCO-listed structure, and gaze out across the stadium floor imagining the roar of 80,000 boisterous spectators from ancient Rome! The Roman Forum, the center of Imperial Rome, lies just down the valley, situated between three of Rome's seven hills- Palatine, Quirinale and Capitolium. Stroll the ancient Roman Forum with your guide, passing the rostrum where Mark Anthony made his impassioned speech over the body of Julius Caesar. With history dating back well over two millennia, picture yourself as a citizen of ancient Rome, walking the site of triumphal processions, political and social debate, criminal trials and more. Surrounded by several temples, triumphal arches, ancient basilicas and other monuments, this valley is effectively its own open-air museum. Conclude your tour with a return transfer to your hotel. Shopping in Rome offers an incredible array of options. 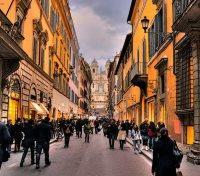 Find Italy's top designer boutiques on Via Dei Condotti, lose yourself in the winding, boho-chic area of Trastevere, find Rome's young and trendy on Viale Marconi, and unite with food lovers from around the world at the Piazza Vittorio market. 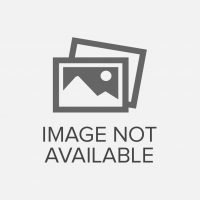 Browse art galleries and antique shops at Piazza Navona, and, if visiting over a Sunday, the weekly Porta Portese flea market (8am-2pm) offers a fun way to ease into your morning. Whatever your passion, Rome has you covered. 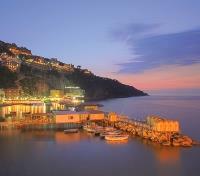 Meet your private driver and vehicle for a transfer to Sorrento. En route, you'll stop at the legendary site of Pompeii, where a private local guide will take you on a 2-hour visit of this important historic site. Nearly 2,000 years ago, Pompeii was completely destroyed in the catastrophic 79 A.D. eruption of Mount Vesuvius, leaving the ancient Roman city buried under 15 to 20 feet of volcanic ash, and preserved therein. Modern archaeologists have since uncovered the remains of the former city, leaving an incredibly vast, and somewhat somber site to explore. 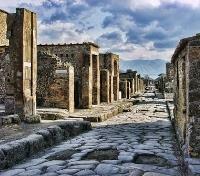 Walk through some of the ancient streets of Pompeii where you can see the baths, forums and villas built by the prosperous Romans over 150 years before the eruption. Marvel at the fabulously preserved fresco paintings which adorn the walls and floors of the villas. See the ancient amphitheaters, gladiator barracks, and houses of former Pompeii residents, before continuing on your drive to Sorrento. 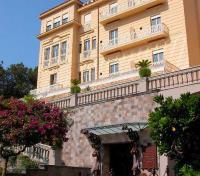 Reputed as one of the most beautiful drives in all of Europe, depart Sorrento on a small group excursion which drives the majestic Amalfi Coast, with stops to explore three picturesque towns at leisure - Positano, Amalfi, and Ravello, all UNESCO World Heritage Sites. 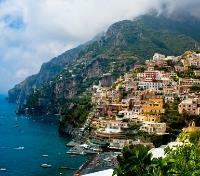 With no more than 8 participants total, you'll follow the scenic coastline to the cliffside town Positano, made popular largely by writer John Steinbeck. Enjoy time to explore on your own, wandering this colorful town's steep and narrow streets, as you soak in the aura which Steinbeck suggested, "bites deep". Continue along the breathtaking and winding road to the town of Amalfi, where you'll have nearly two hours to take in the scenery of this popular holiday area. Backed by dramatic cliffs, and home to an 11th century cathedral, you'll likely also spot some of the area's renowned lemons grown on the terraced gardens here. Continuing along, you'll stop for an included lunch with wine at a local restaurant away from the tourist crowds, before making your way to Ravello, another UNESCO gem, which has a unique vantage point looking down on the so-called 'divine coast'. 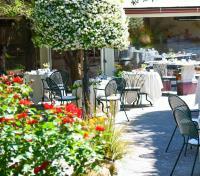 You'll have approximately 40 minutes to explore the quaint scenery of Ravello before a return drive back to Sorrento. Meet your private driver and vehicle for a transfer to Naples Airport. Approximate travel time is 1 hour.